Unfinished wood rings to make teethers, toys and more. 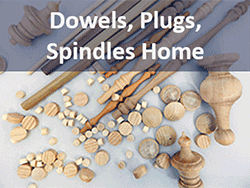 Choose USA made from USA Maple or Chinese made from Chinese Maple. These popular rings are smooth, and beautifully made. 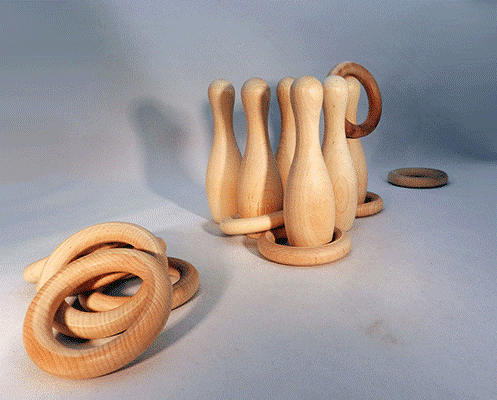 Many customers use or wood rings for products ranging from Ring Toss to Baby Toys. 1) Look for the SKU ending in "USA" for USA made wood rings. Other wooden rings on this page are made of Chinese Maple - they are fantastic quality (also known as Hemu). 2) No coatings or finishes applied beyond sanding. These rings are simply made of quality, unfinished Maple. 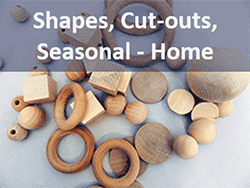 Choose from several sizes of wooden toss rings. Want something specific? Just ask! 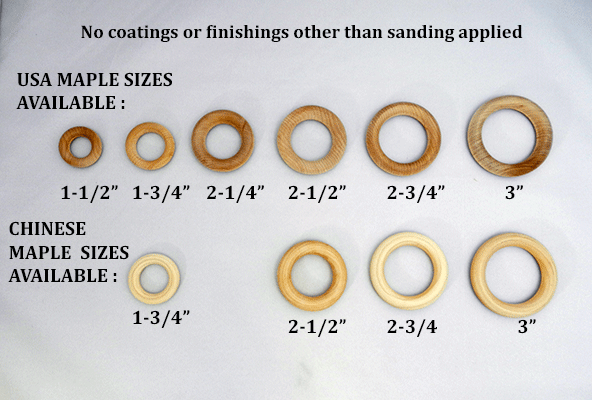 Unfinished wooden rings have many uses, from children's toys and organic teething rings, to accessories for gift bags, to classroom projects and as toss rings for backyard games. These wooden rings are smooth, sanded, and made of Maple.